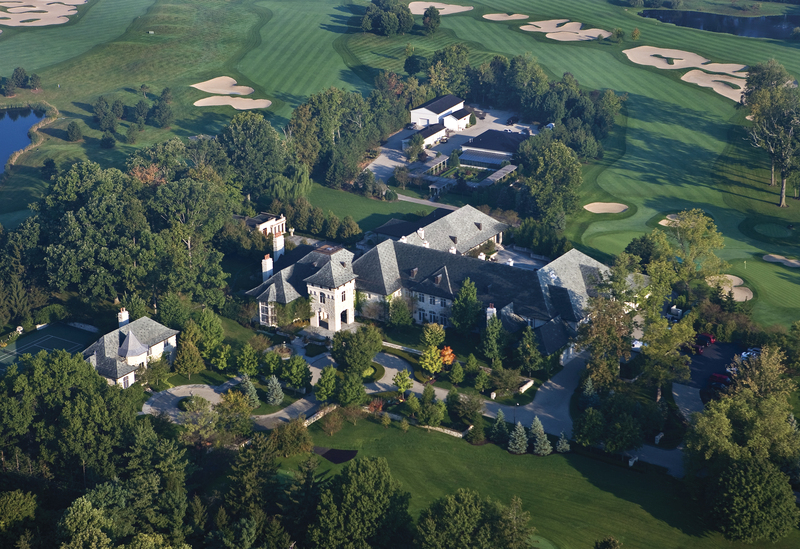 CARMEL, Indiana (January 4, 2018) – Today, in a continuation of her support for the arts and artistic endeavors, philanthropist Bren Simon announced the donation of her 107-acre Asherwood Estate in Carmel, Ind. to the Great American Songbook Foundation. While the donation was made with no restrictions on the use of the property, it holds enormous promise as a potential museum site and as the basis of an endowment to support the Songbook Foundation’s mission. Mrs. Simon’s gift includes a fully furnished 50,000 square foot main house, a 6,000 square foot guesthouse, an 8,000 square foot clubhouse, several other structures, and two golf courses. The gift includes the entire real estate and personal property along with a cash gift, for a total value appraised at more than $30 million. The Songbook Foundation will leverage the donation toward its goal of creating a freestanding Great American Songbook Hall of Fame Museum, dedicated to the timeless popular music of Tin Pan Alley, Broadway, and Hollywood. Founded in 2007 by the internationally known performer and preservationist Michael Feinstein, the Foundation is based at the affiliated Center for the Performing Arts in Carmel. Up to now, the Songbook Foundation has operated with a modest staff and budget that belie its broad impact. Its Songbook Archives & Library, with over 100,000 items, is second only to the Library of Congress as a repository of documents, recordings, and other artifacts from the 20th century heyday of the Great American Songbook. The holdings include personal papers and other pieces from legendary performers and songwriters including Meredith Willson (The Music Man), Johnny Burke (“Swinging on a Star”), Gus Kahn (“It Had to Be You”), and Hy Zaret (“Unchained Melody”). The collections, which attract musicians and researchers from around the world, are currently stored at a facility near the Palladium concert hall, where the Foundation maintains its offices and a public exhibit space. In July, the Los Angeles-based Grammy Museum® named the Songbook Foundation to its Cultural Affiliate program, which includes only four other institutions worldwide: The Beatles Story in Liverpool, England; the Bob Marley Museum in Kingston, Jamaica; the Woody Guthrie Center in Tulsa, Okla.; and the National Blues Museum in St. Louis, Mo. Cultural Affiliates collaborate on exhibitions, educational initiatives, research programs, internship opportunities, technical support, and more. The Grammy Museum is among the entities providing expertise and assistance to the Songbook Foundation in its museum planning. In the near future, the Foundation will launch a national capital campaign to support museum development. Serving as honorary chair of the campaign will be Foundation Board Chair Emeritus Irwin Helford of Las Vegas, who is retired from posts as Chairman and CEO of Viking Office Products and Vice Chairman of Office Depot.